As far as the world knows, there is no golf course on the Moon or Mars or any other planet for that matter. If there was, it might just look like Wolf Creek here on Earth. So unbelievable are the images of Nevada's most dramatic course that it has attracted audiences of all kinds (extraterrestrials not confirmed). Major retail brands have used it as a backdrop to promote products. Video gamers have fallen in love with it as one of their favorite courses. PGA Tour players have visited to see if it is real. And the avid golf traveler has come from around the globe, not just Las Vegas, upon word that it is the experience of a lifetime. "Last year we were featured in magazines in Mexico, the UK, France, Australia and Canada. We also had guests from 18 different countries," said Darren Stanek, Wolf Creek's general manager. "The golf course is highly regarded all over the world. I got back from Scotland (this summer) and was amazed how many people over there had heard of Wolf Creek and that it was on their bucket list." Such acclaim was not always the case with the Mesquite, Nevada course which opened in 2000. In the early years, there were financial struggles and the hype for the course never quite matched the splendor of the property. "It was a turnaround project," said co-owner Cory Clemetson. The course had always been there though. Clemetson and his brother Chad saw something special, like many others, when they acquired it from bankruptcy some 15 years ago. Using his background as a sports agent and having never been in the golf business, Cory took a different approach. Among the changes he's helped implement have been a more edgy advertising campaign, a new call center dedicated to the golfers and elevated dining and merchandising offerings. "We positioned the golf course much like I positioned some of the athletes I've represented. We created a brand," said Clemetson. "And when you're creating a brand we looked at what Wolf Creek was with it being so unique and we made a brand around it. We call it the ultimate golf experience. Obviously, our course is unique and a lot of fun for our guests and golfers." featured as a site in television ads and for Under Armour and Cleveland Golf shoots. In the past year, the World Golf Tour (WGT) mapped the entire course for their online game which is set to release in 2019. Inevitably, pictures of Wolf Creek set the stage for the experience. They alone can create a buzz. With emerald green fairways, white sand bunkers and red rock framing each hole, there is a stunning contrast that only few courses in the world can match. Think desert golf on steroids. Temperatures routinely reach well into the 100s during the summer months and cool significantly during the winter before rising back into the 80s by April. Wolf Creek is just 80 miles northeast of Sin City right along the Arizona border. "The conditioning of the course is top notch considering the climate, limited sunshine and airflow to certain areas as well as limited areas cart traffic can enter and leave the cart paths," said Stanek. "Unless you have played Wolf Creek you can't imagine the drop offs from the teeing grounds and the fairways that look like little green ribbons of grass in the middle of red canyons. This is virtually for 18 straight holes. Some courses have a few cut out of similar terrain but for us it's every hole." There are 200-250-foot changes in elevation. So perilous is the route to the tee box on No. 2 that two mowers are kept in storage there because it is so difficult to transport them to that spot. And for good measure (in the perilous category), the Mesquite Municipal Airport lies 300 yards from the first tee serving as a hub to not only corporate guests but also to skydivers. Imagine the view of the course from that perspective. Sure, Wolf Creek might not appeal to old-school golf enthusiasts. But its playability - let alone its popularity - appeals to golfers of all levels. It also provides a great match for the gambling culture of the wider area. "The shots that you have an opportunity to try to pull off brings a challenge and fun element that other courses don't have with the same frequency," said Stanek. "Every hole has a risk-reward component and even the most conservative player will have a crucial decision to make during the round of whether to go for it or not. It's not a long course (tee boxes range from 4,101 to 6,939 yards) so players of all abilities can truly enjoy their round at Wolf Creek." From Clemetson's view, the experience is one of a lifetime. "I think it's the equivalent of playing in the middle of the Grand Canyon," he said, comparing it to the Arizona landmark. ever played.' Obviously, our course is unique and was not made as a traditional golf course so there will be people that from a ranking perspective might not rate us that high as the fans do. But I think we're an established golf course and that's the one thing we set out to do many years ago. We've accomplished that goal... 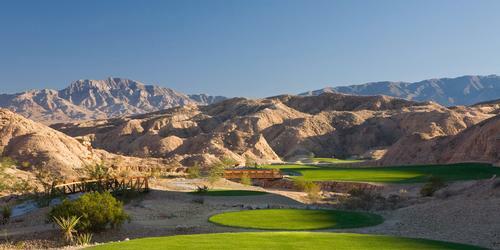 In terms of popularity, people like to come to play Wolf Creek as much as any top 20 course in the United States." 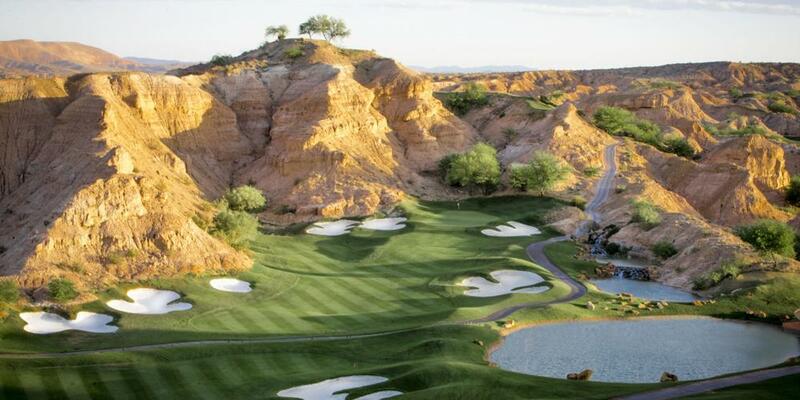 For more information on Wolf Creek, visit their website at www.golfwolfcreek.com. Matt Tevsh has been a freelance sports journalist since 1996. He has been published in multiple periodicals including Midwest Golfing Magazine and on various websites including GolfTrips.com. He is an avid golfer and a former member of the Golf Writers Association of America.